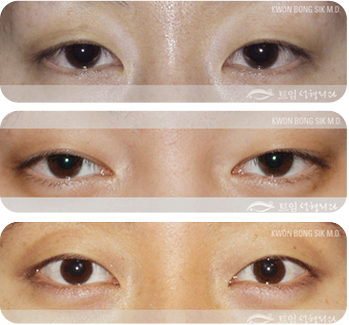 Before devolution epicanthoplasty (=Kwon’s method. Magic epicanthoplasty), It has been a long-standing dilemma for plastic surgeons which procedure to choose, i.e. infold type double eyelidplasty with a less satisfactory result or outfold type double eyelidplasty with concomitant epicanthoplasty, taking risk of hypertrophic scar in Asian eyelid. When the epicanthal fold is severe, the surgical epicanthoplasty incision of skin flap also become longer, and a scar could be easily visible in conventional method, which based on the concept of local skin flap and lacked a consideration of upper orbicularis muscle and vertical epicanthal tension. So, plastic surgeons thought that tapered type is best within limitation of natural-looking eyes in Asian blepharoplasty. The devolutional Asian blepharoplasty resolved previous limitation and extended possible asthetic aim and enable to form parallel double eyelid which looks naural without surgical mark. Asian blepharoplasty considers factors such as the anatomical condition around the eyes, the exposure of red flesh(called caruncle), the inner-gathering of eyes and so on. In case of favorable condition and client really wants high parallel crease, the surgical result would be satisfactory while still maintaining some oriental attractiveness. 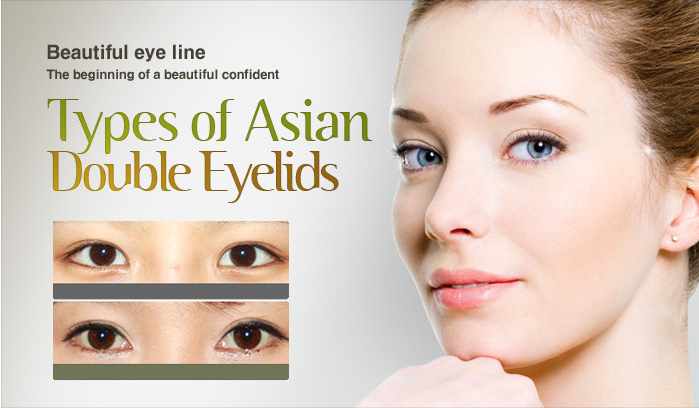 There are many basic factors we must take a close look for natural looking high parallel crease in Asian eyelid. In appropriate anatomical condition, the high parallel crease would look natural and attractive after Asian blepharoplasty. When women pass their adolescence, weak and unexpected fine wrinkles are formed at one or more locations on the eyelid skin. 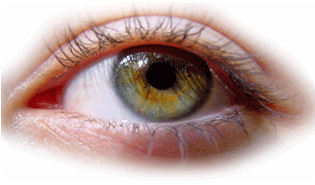 It is a kind of aging process occurring in the eyelid with a single eyelid. One of the wrinkles might be rudimentary crease. Sometimes women delude themselves to have an acquried crease that looks similar to that of an innate crease. Most of these people usually misunderstand that they have acquired a double eyelid, and they sometimes ask the surgeon to make them more clear and fix the firmness on that false crease. The lines are not the real crease forming the double eyelid, but they are similar to wrinkles. It is said that a first impression of a person is determined in just a few seconds. Among other body features of a person, the most important part would be the eyes. Many people visit the plastic surgery clinic and ask about eyes. And frankly, Asian women undergo surgeries on the eyes the most. When having double eyelids, they look brighter and give a feeling of intimate and open-minded impressions. But although performing a double eyelid surgery is common in Asia, the surgical technique itself is not simple or easy at all. Although many patients think it is just a simple surgery, the surgeon who performs this surgery requires abundant knowledge of anatomy, extreme carefulness, and excellent sense of understanding of the facial beauty because plastic surgery on eyes requires to consider the size of eyes, the expression of the eyes, epicanthal folds, power of the eye muscle, height of the nose, size of the face, skin condition and so on. Uniformly applied double eyelids technique without aesthetic point of view can make them look unnatural and result in disastrous outcomes. Therefore, all plastic surgeons must be responsible for their surgical procedures. Recently, many people prefer a large double eyelid but still natural looking. The devolutional Asian blepharoplasty resolved previous limitation and extended possible asthetic aim and enable to form parallel double eyelid which looks natural without surgical mark. The devolution epicanthoplasty plus double eyelidplasty, these two combined surgery is becoming the firm basic concept (Structural eyelidplasty concept in Asian eyelid : Combined Epicanthoplasty and Double Eyelidplasty as One Surgery) for the Asian blepharoplasty to accomplish most attractive, natural-looking eyes.